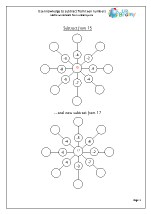 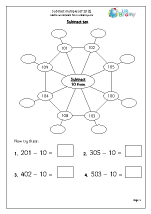 Revision of subtraction with smaller numbers. 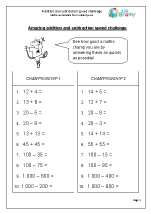 Skills to improve mental arithmetic and using known facts to work out answers to harder questions. 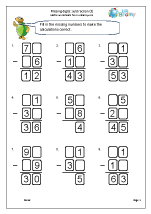 Introducing written methods of subtraction leading on to using the formal written method with numbers up to 3 digits. 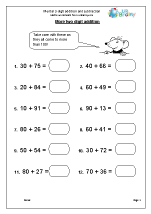 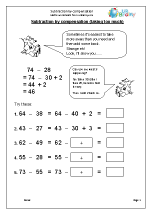 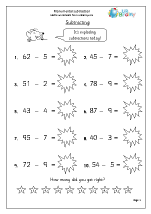 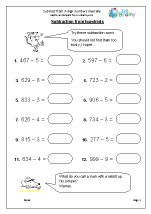 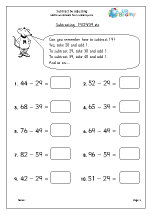 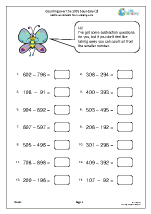 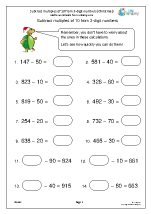 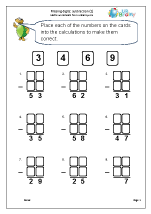 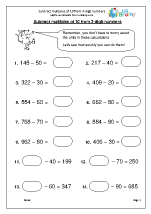 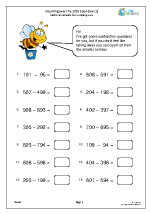 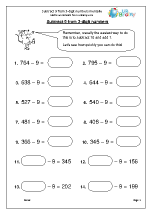 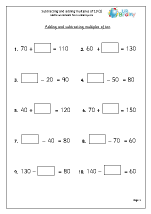 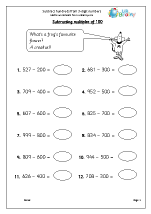 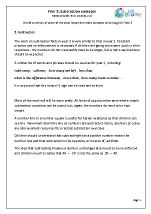 • understand subtraction as the inverse of addition and answers from a subtraction can be checked by adding. 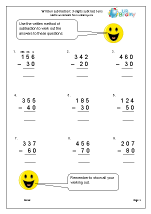 With these skills it is surprising how little written subtraction needs to be used in the real world, as most calculations can be done mentally. 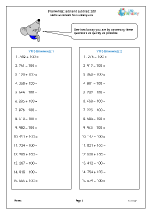 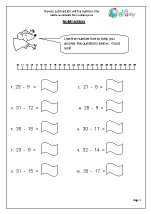 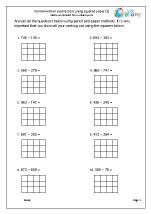 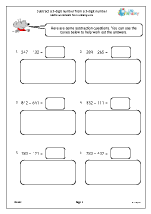 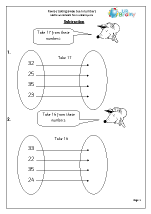 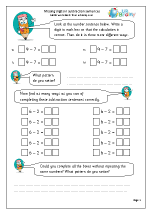 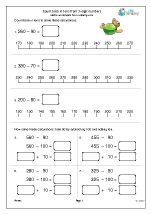 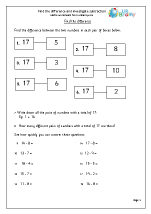 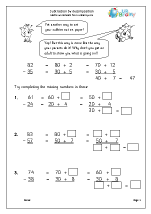 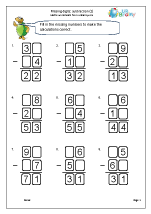 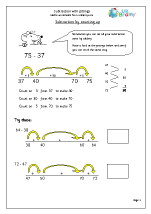 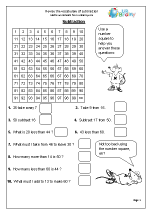 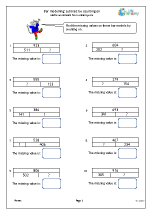 Don’t forget that as well as our Subtraction category there are also plenty of subtracting activities in our Reasoning/Problem Solving category, including some new ‘bar modelling’ pages.